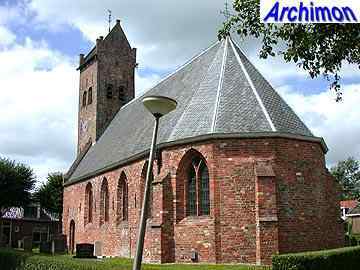 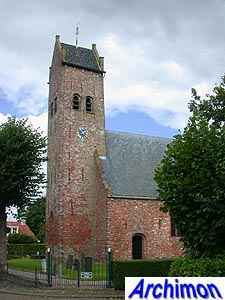 The reformed church of Dearsum, or Deersum as its name is in Dutch, originally was named after St.Nicolaas. 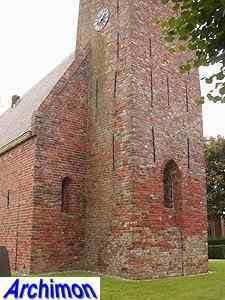 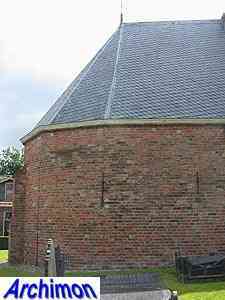 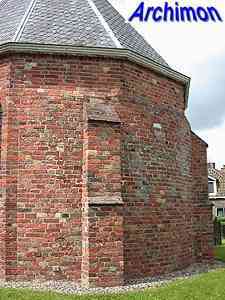 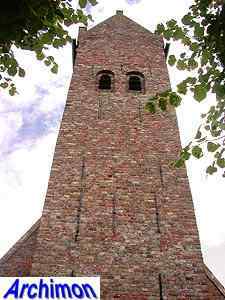 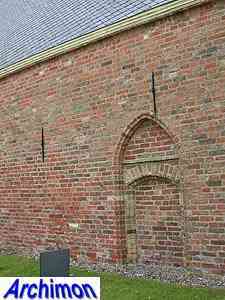 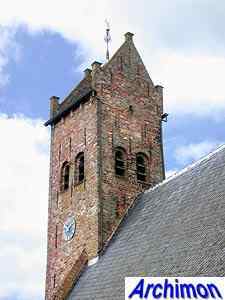 Although it was known that the tower, which has a saddle-tower as typical for the north of the Netherlands, dated from the 13th century, the age of the actual church was unknown until a restoration in 1948-1951. 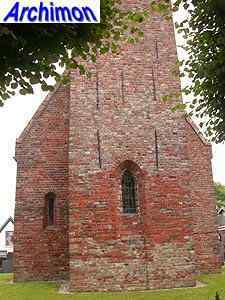 After a coat of bricks had been removed the church turned out to be in Romanesque style and was built around the year 1200. 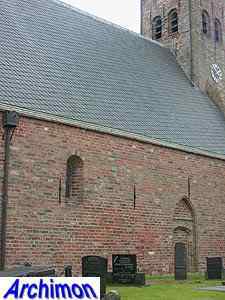 Of the original state the north side of the one-aisled nave has survived; an almost completely closed wall, with only one small window. 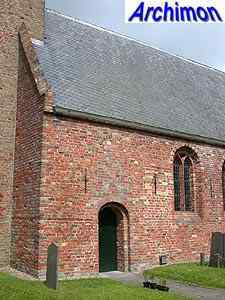 A Gothic portal had been added to this side of the nave in the 15th century. 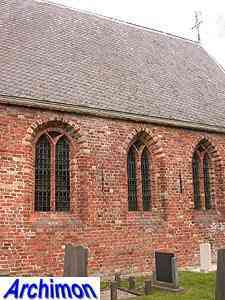 On the south side large windows in Gothic style were added in the 16th century. 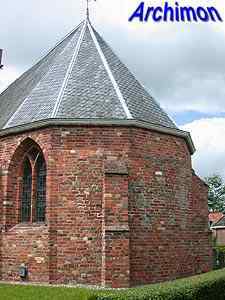 The church is closed by a semi-circular apse.